We are an all Canadian company, in the business of creating handcrafted, uniquely elegant stone products, using high-quality granite, marble, and quartz. All of our products are hand-crafted by artisans in Bobcaygeon, Ontario. This Northern Ontario locale is known as the Kawartha Lakes Region and is similar to nearby Muskoka. Everything we make is from naturally reclaimed organic stone. 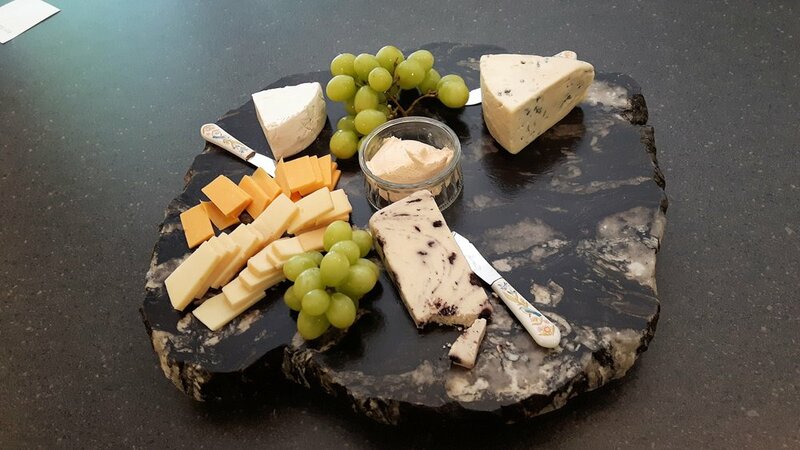 All that we reclaim is re-purposed into beautiful home decor and household items such as serving trays, platters, cutting boards, lazy susans, sushi trays, charcuterie trays, granite paraffin candles, and granite top tables. Since each item is rough chiseled and made from a variety of different source items with a variety of colours and graining, no two pieces are alike. Each will have a unique shape usually determined by the natural characteristics of the stone. In the stone countertop industry, there is considerable breakage and waste due to the fragile nature of the material. Here at Granite Creations we create one of a kind stone products that are not only artistic and elegant, but also very functional. 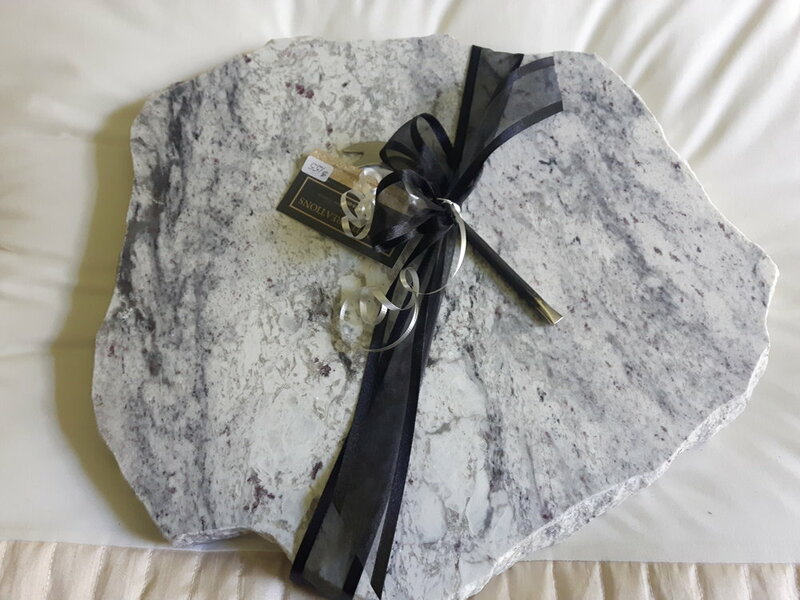 Find Granite Creations on their Website.